Our story starts in the 1920s where brothers, Monty and Louis Levin, started Levin Brothers General Wholesalers in Somerset East. Monty’s two sons Neville and Allan took over and established a branch, which would become Curtains & Linens, in Port Elizabeth. In 1996 the Pumplun family, Walter and Louise, took over the company after managing the business since 1981. Marcel, their son, now heads up Curtains & Linens and has grand aspirations of growing the business to new heights in the years to come. 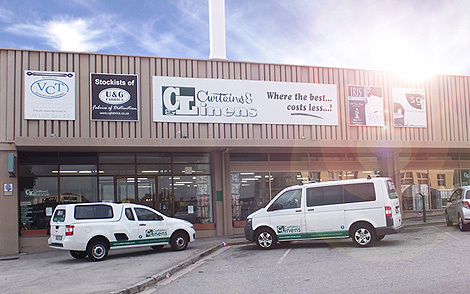 Today, Curtains & Linens is a company under the Levtex umbrella, with a 1000m square retail shop in Newton Street, Newton Park and wholesale companies Levtex CC and Iris Wholesale (Pty) Ltd in North End, as well as its own manufacturing facilities. 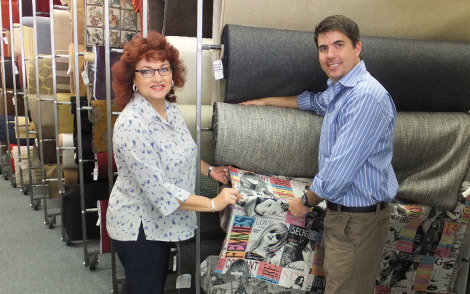 Curtains and Linens are the largest stockist of curtaining, upholstery and linen in the Eastern Cape. With more than 1000 rolls of fabric in stock and an especially large range of exclusive imports, as well as towels, blankets, fancy cushions, ready-made curtains, linen and related accessories. We also manufacture customised padded headboards, bull-nose and other pelmets, outline quilted bedspreads, swags and tails, and offer a huge range of tiebacks, tassels, braids, cords, decorative holdbacks, rods and rings, curtain tracks and all types of blinds. The experience and knowledge of our team, some of whom have been with us for more than 30 years, is unmatched in our area and they are absolutely committed to the Curtains and Linens philosophy - Where the best costs less. The management team of Veona Hitchins and Marcel Pumplun keep a keen eye on the business operations to ensure that Curtains & Linens' clients always get the Best advice, Best range, Best service at the Best price. For large curtain and linen projects for schools, universities, hotels and hospitals. We are 100% level 4 BEE certified and have an exemplary track record. Curtains & Linens wholesale division are specialists in providing companies, other retailers and the hospitality industry with the best possible service & quality linen.